Since Google launched YouTube Music in Canada this week there’s a new competitor in the music streaming space. 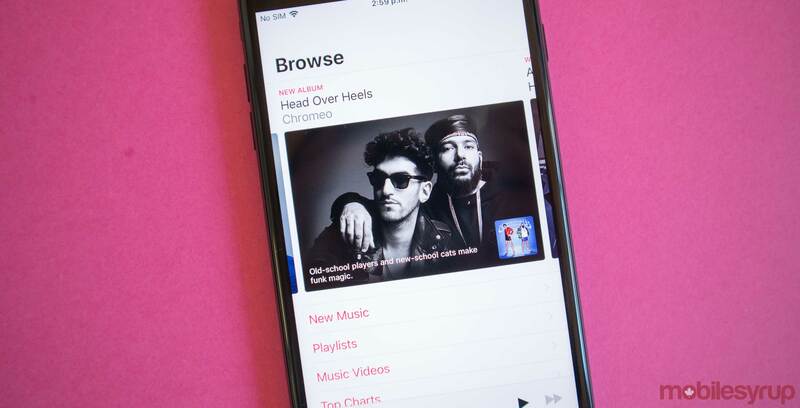 Canadian users can now stream music from Apple Music, Spotify, Tidal, Google Play Music or YouTube Music, as well as a small collection of other services not listed here. Of course, with so many options comes the question of choice. Read on to learn more about the largest music streaming services in Canada. 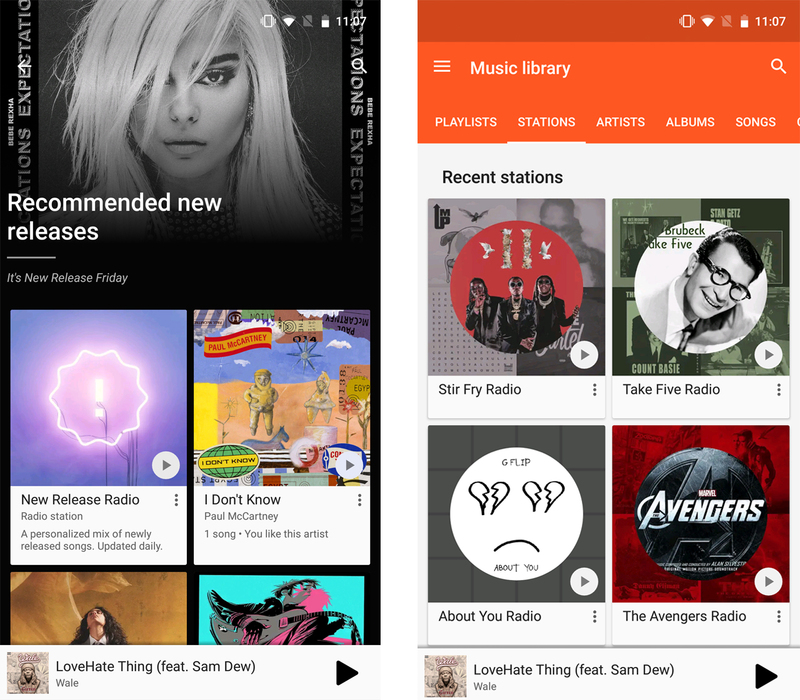 Launched in 2011 as a cloud-based media player application, Google Play Music today functions both as a music streaming app, as well as Google’s default music player app on Android. The platform allows users to upload up to 50,000 tracks to their personal Google Play Music libraries at no cost, while also providing listeners with the option to purchase a $9.99 per month ‘All Access’ plan that allows users to listen to the entire catalogue of music licensed to Google. Admittedly, the Google Play Music web and mobile app might be the least-attractive application on this list. What it lacks in visual appeal, however, it more than makes up for in terms of sheer simplicity. A Google search bar at the top of the the app lets users know where to look for music; a ‘Recent Activity’ panel tells users which songs were previously listened; while a rotating selection of Google-generated radio stations allow users to take all of the guesswork out of picking a song, genre or artist. 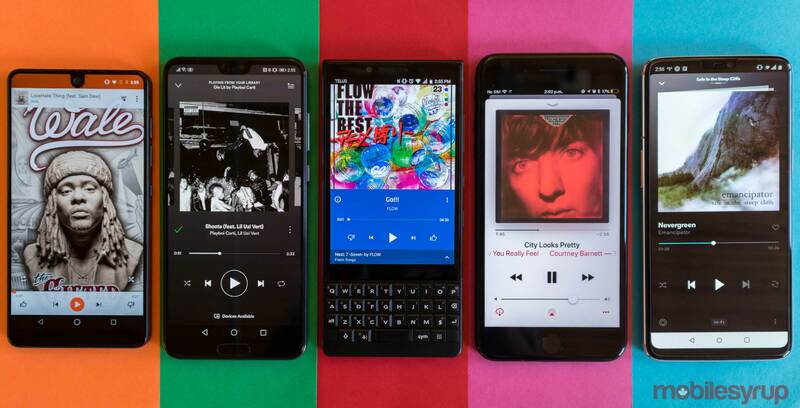 While the app’s simplicity and ease-of-use is welcoming to new users, audiophiles will be disappointed in the service’s lack of clarity when it comes to audio quality. 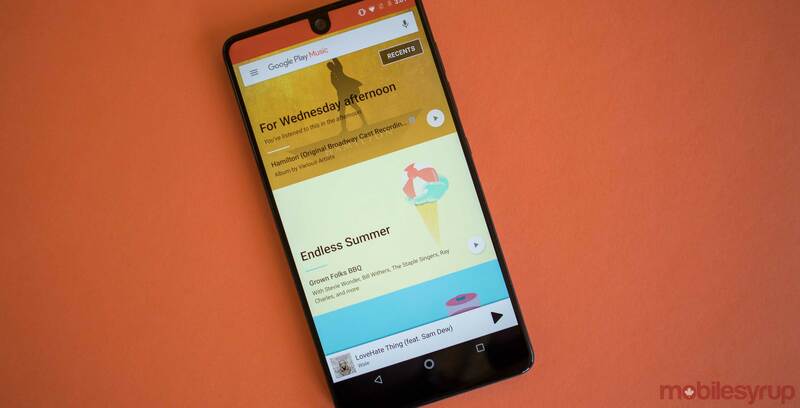 Whereas other services make specific reference to audio bitrate, Google Play Music simply lets users choose between ‘Low,’ ‘Normal’ and ‘High’ quality audio. The company also isn’t forthcoming about what those descriptions mean. Songs by no means sound terrible, but they simply lack the vibrance that can be found on other platforms. YouTube Music isn’t just Google’s latest streaming platform, it’s also the newest streaming platform on the market. 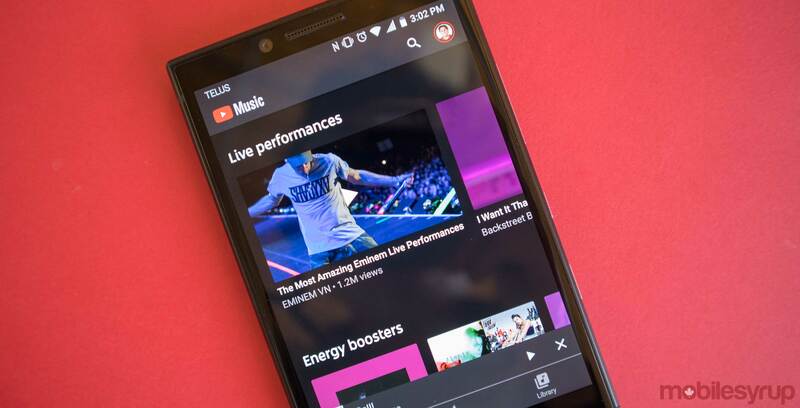 Launched in the U.S. in 2015 (and in Canada on June 18th, 2018), YouTube Music can be viewed as the natural successor to Google Play Music. 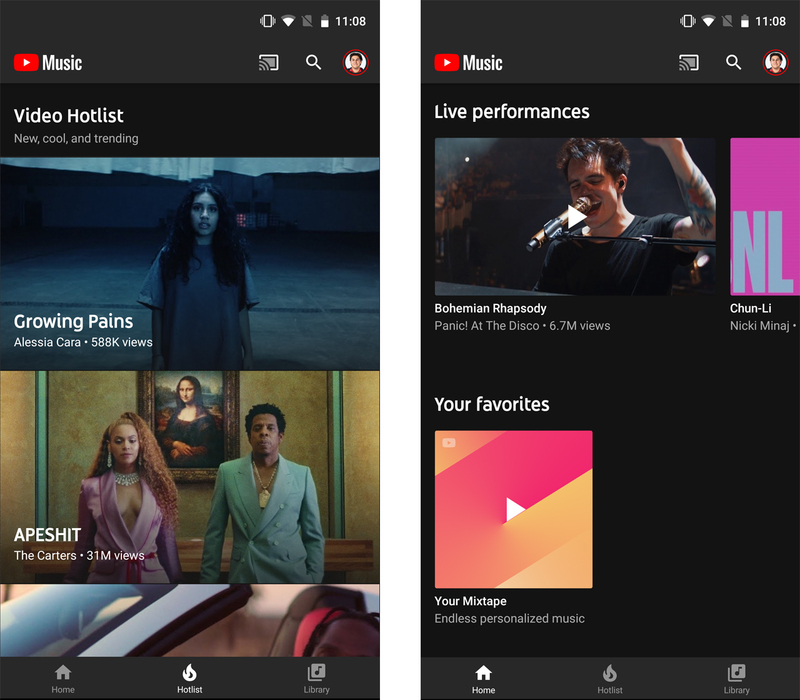 Google did away with its orange Google Play Music branding, instead choosing to use YouTube’s dark theme as the basis for YouTube Music’s app design. Gone is YouTube’s red and white, replaced with a more subdued — and attractive — black and red aesthetic. 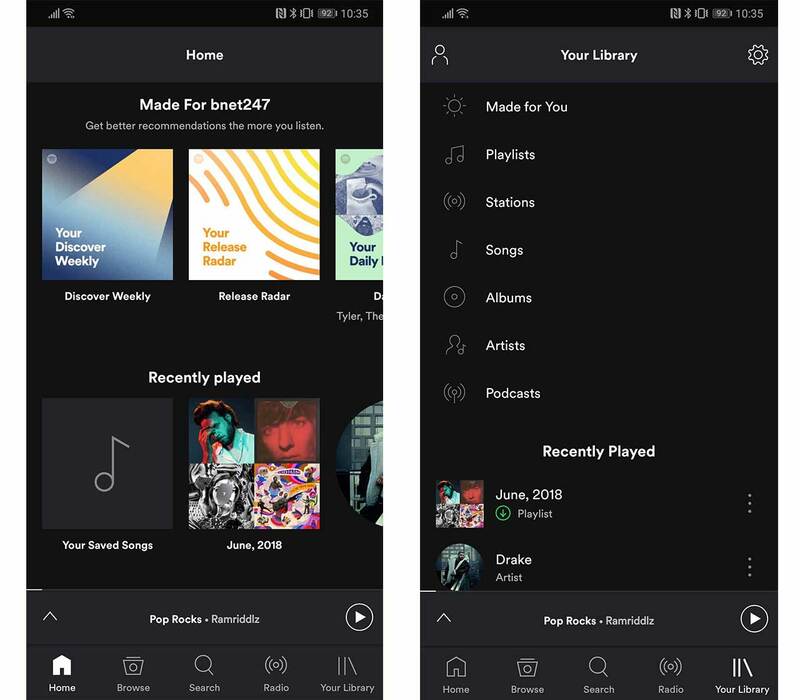 YouTube Music is available as both a mobile and web app, and both apps are quite similar. YouTube Music carries the complete Google catalogue of licensed tracks, as well as the covers and remixes that can only be found on YouTube. Additionally, paid users can download music videos and songs to listen to while offline. On the subject of offline listening, YouTube Music also curates an ‘Offline Mixtape’ using music the app thinks users will enjoy. So far, the Offline Mixtape feature is hit-and-miss, though knowing Google, the feature will no doubt impress and terrify in equal measure soon enough. Unlike Google’s other music streaming service, YouTube Music is open about the quality of the media on its platform, but only when it comes to music videos. YouTube Music offers three tiers of quality: ‘Audio only,’ ‘Medium — 360p’ and ‘High — 720p.’ It’s interesting to note that YouTube Music’s audio quality tiers seem to suggest that the platform was explicitly designed with music videos in mind. Understandably, 360p videos are of a lower quality than 720p videos, and while YouTube Music’s audio quality isn’t poor, it’s still not exceptional. Apple Music launched in 2015 as one of the major players in the streaming space. The app had a rocky start before it found its footing. At launch, Apple Music wasn’t paying artists when users were streaming their music with a free trial. At the height of this controversy, Taylor Swift pulled her music from all streaming services until Apple amended its streaming contracts. Apple has one of the largest music libraries in streaming, but it’s not perfect. It could have better music recommendations and a more open ecosystem like Spotify. Apple’s streaming service might not have the best recommendation algorithms, but it does have some of the best human-curated playlists out of all of its competitors. Apple Music’s human curation highlights new artists and music really well. There are always headline cards and sometimes small album bios that makes highlighted songs and albums seem like personal recommendations. There is often Canadian content highlighted in the app’s browse page. There are playlists for things like Saint-Jean-Baptiste day, and there’s always a list of new music from French artists. Additionally, Apple offers a full Canadian genre section that’s full of music by Canadian artists. 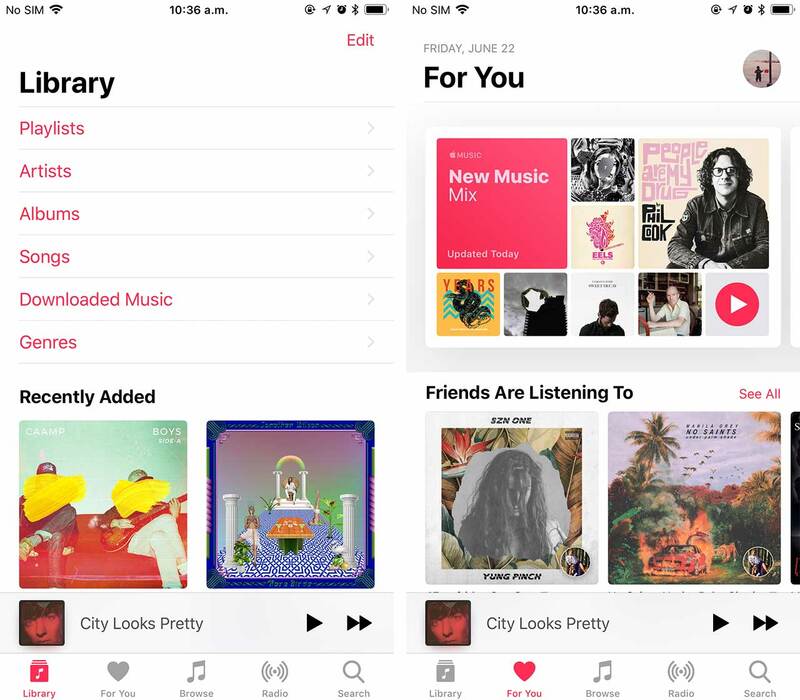 Users can upload their own music to their iCloud library, which is then integrated into the Apple Music app so all of your music is in one place. The app’s design is clean and it does a good job of putting music front and centre, making the Apple Music app easy to navigate. There’s also a radio section that houses Beats1 radio. Apple has partnered with a lot of famous DJs and artists to help host a bunch of radio shows. These shows include programs like Elton John’s Rocket Hour and OVO Sound Radio. There’s no free tier in Apple music, but all users can listen to the radio stations even if they don’t pay. If you’re a heavy Apple device user, Apple Music is perfect for you. If you want to listen to music on a device like a Google Home or an Xbox you may want to look elsewhere. Spotify hit the market in 2008 and it was one of the first modern music subscription services. The app is solidly designed, but it’s a little cluttered compared to the other apps on this list. This in no way means that Spotify’s design is bad, it just takes a second to get used to navigating it. Spotify has an excellent music recommendation algorithm. Its ‘Discover Weekly’ and ‘Release Radar’ playlists recommend a wide range of music and, for the most part, the recommendations are magical. Spotify’s recommendations are always something I haven’t heard before, while other streaming services seem to only recommend music that matches recently played songs. The apps recommendation engine uses three distinct algorithms. One to match your musical tastes with other users. So if you are listening to a lot of Frank Ocean than it will offer you songs that other Frank Ocean fans are listening too. The second algorithm, looks at online reactions to music to discover what’s popular and, the final algorithm looks at the raw sound data of tracks you like and tries to match it with unheard songs sound data. All of these algorithms work together to magically predict music that the listener will actually like. In addition to its excellent recommendation algorithm, Spotify offers a few different sound quality options. Users can listen to music at extreme, high, normal or low quality. The quality settings vary depending on the device but generally, the Highest quality is 320Kbps, followed by 160Kbps and 96Kbps. Only premium members can choose the highest quality, free users are locked to normal or low. Spotify is also one of the only music streaming apps that offers a free tier. The free version works in two different ways. On the desktop or web app, users have to listen to an ad every few songs. 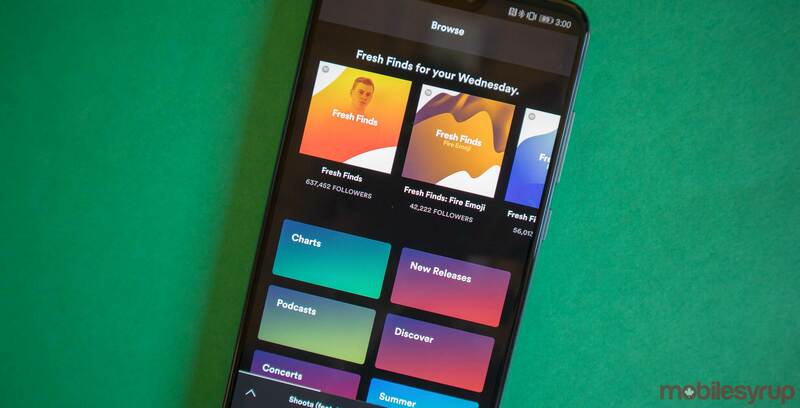 On the mobile app, users can only listen to music from a few of Spotify’s recommended playlists. Tidal entered the music streaming scene in 2014. Its claim to fame is lossless audio and some artist exclusives. Overall it’s a pretty good streaming service, but it has a few quirks that hold it back. For example, if you save an album, the album will be added to your library, but each individual track won’t be included in your overall songs list. 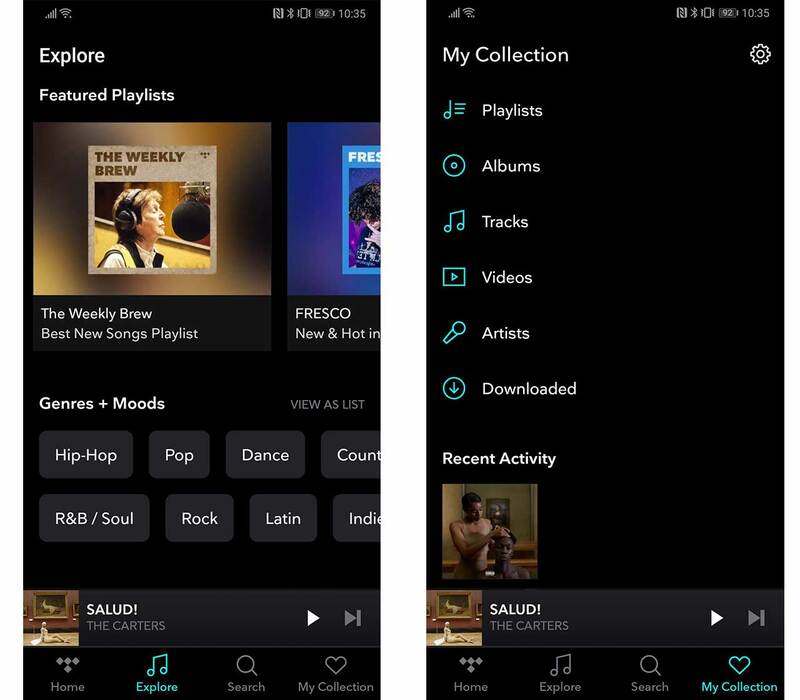 As for design, Tidal resembles Spotify and Apple music. There are a few headline-type cards at the top of the screen that share some new and popular music. The music charts, recommend music and genre lists are all down below. Tidal also a has a lot of smaller independent artist mixtapes that are missing from other services. These are songs and mixtapes that are free from other places online, but it’s nice to have them all in one place. 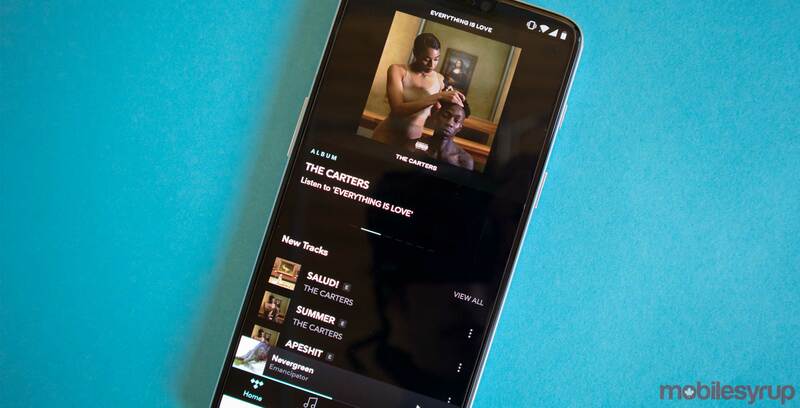 The company claims that Tidal has 56 million songs in its collection and 225,000 music videos. Tidal also works similarly to Apple Music because there’s a huge level of human curation in the playlists in the app.